How can the Central Territory best serve the long-term spiritual, emotional and physical needs of the men and women who enter our adult rehabilitation centers (ARC)? What about the families of ARC beneficiaries? 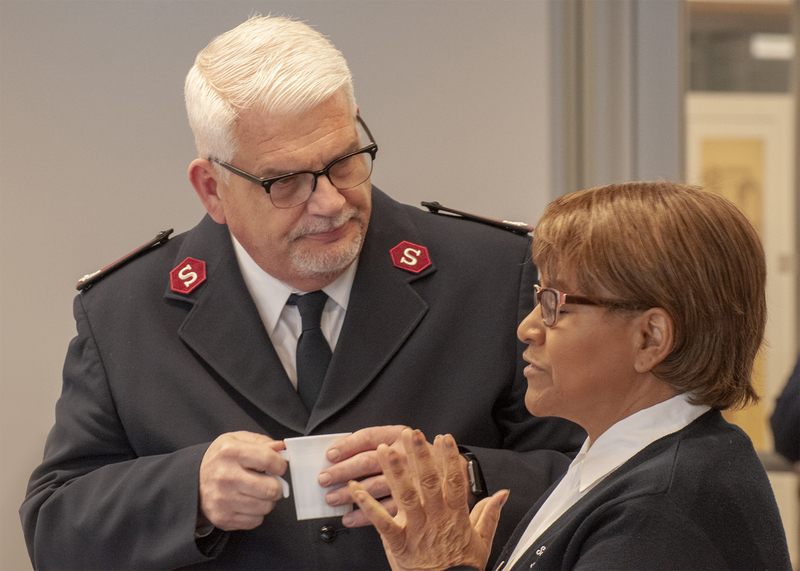 How can we encourage the development of transformational relationships through connecting ARC beneficiaries and their families to other Salvation Army ministries? An amazing cross-section of nearly 100 delegates representing ARCs, corps, divisional headquarters (DHQ) and territorial headquarters (THQ) gathered for a Mission Integration Summit at the invitation of Territorial Commander Commissioner Brad Bailey and Adult Rehabilitation Centers Commander Major Randall Polsley. 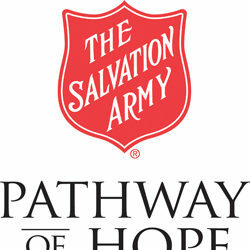 The purpose was to advance The Salvation Army’s mission by strengthening partnerships between ARCs and the corps in close proximity to them. 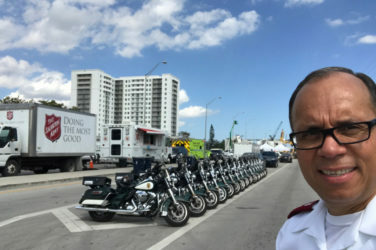 In his welcome video, Commissioner Bailey pointed to the Apostle Paul’s exhortation to unity in Ephesians 4:4 as the basis for “sharing God’s message in a way that breaks through the stereotypes of ‘us and them’ and embraces an inclusive message without discrimination.” The territorial commander challenged delegates to open their hearts, minds and spirits to how Jesus is leading them to share His love and grace to everyone who comes into their sphere of influence. Serving as Senior Territorial Vision and Mission Advisor with his wife, Commissioner Sue Swanson, Commissioner Barry C. Swanson described the mission integration the territory is working toward and praying for in very practical terms. 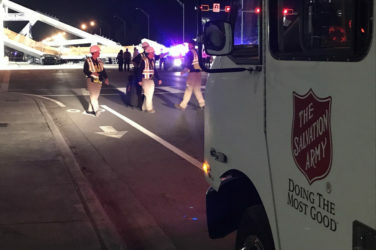 “It is one Army, with one mission, taking the message to one person at a time,” he said. “Something in our system is broken, fractured, and needs to be reset before healing can occur,” Commissioner Swanson said. “That break is sin, individual and corporate. We must confess, repent, and forgive.” Drawing from his experience with the Southern Africa racial reconciliation efforts, he explained, “In order for reconciliation to take place, the two parties need to come to a third place.” The Mission Integration Summit provided fertile ground for that process to take root. Prior to beginning their work as collaborative teams, short informational presentations prepared delegates for fleshing out how mission integration will work in their contexts. Corps and divisional representatives received an ARC 101 which explained the ARC program and requirements. Delegates also were reminded of the challenges in trying to change organizational culture and were asked to prayerfully consider and identify what might need to be sacrificed in order to remove barriers for successful mission integration to take place. The final preparatory step was a refresher on strategic planning tools, including a SWOT analysis (strengths, weaknesses, opportunities, threats) and SMART goals (specific, measureable, attainable, relevant, timely). A significant amount of time was devoted to identifying the challenges facing mission integration and setting goals to overcome them. To foster conversation, connection and teamwork, delegates sat in clusters of corps officers, ARC administrators and beneficiaries from the same cities, regions or divisions. As they got to know each other and work as community teams, they found they had more in common than different, and their joint passion and commitment to the Army’s mission was affirmed. “In short order, groups that seemed at first to be reluctant to delve into the work suddenly proclaimed with excitement long lists of goals and action steps, and most had already scheduled working groups and joint meetings to continue the work once they had returned home,” said Major Curtiss Hartley, Kansas and Western Missouri divisional program secretary. “The focus on mission integration is creating a wonderful relationship between the corps and our center. The collaboration has already been phenomenal,” said Major Catherine Thielke, business administrator at the St. Louis, Mo., ARC. The true value of the “third place” afforded by the summit only will be experienced as plans are turned into action, resulting in more people coming to accept Jesus as their Savior, nurtured to mature in their faith and then recruited, trained and empowered to serve in Jesus’ name. “There will be opportunities to build soldiership because of our relationship with the ARC. 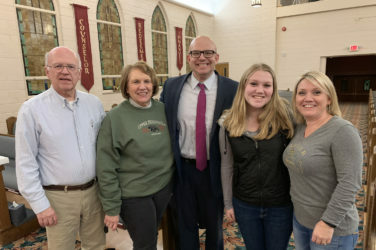 The connection and relationship between the corps and the ARC is already making a difference in our ministry,” said Captain Sanhty Thammavongsa, Milwaukee West, Wis., corps officer.